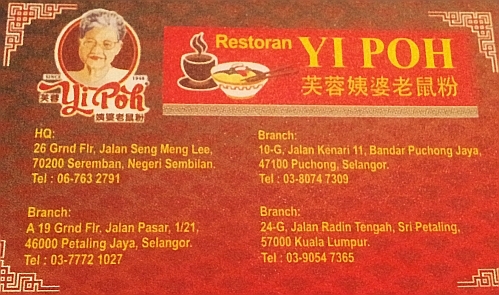 I was surprised to see this Yi Poh restaurant from Seremban that I have bought takeaways before, having a branch in Sri Petaling occupying the shop lot vacated by SRK Noodle House (which has moved a few shop lots away in the same row - I was told - need to verify this later) so we went there to try out the noodle. 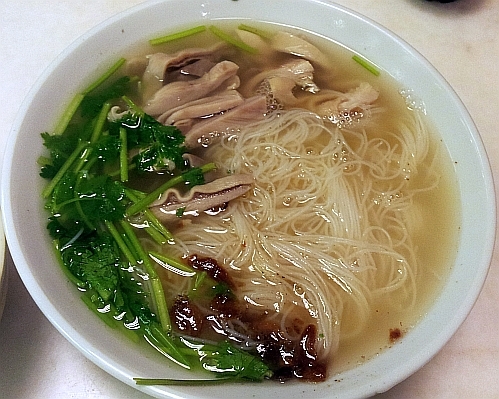 Pig Stomach Mee Hoon (Rice Vermicelli) small portion - MYR 7.90 nett. 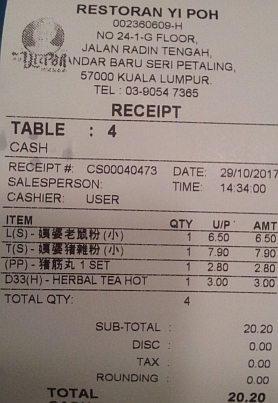 My order - Dry noodle (small) for MYR 6.50 nett. 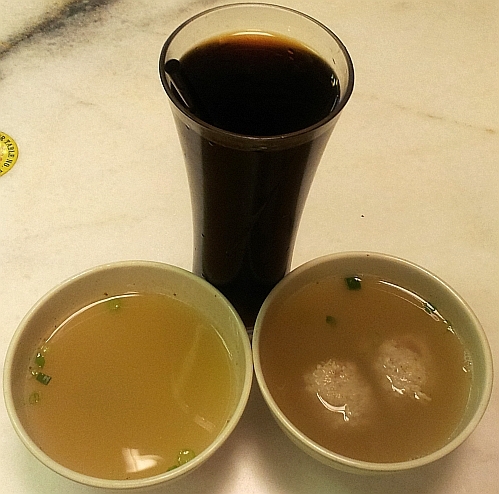 2 pork tendon meatballs for MYR 2.80 nett. I feel that the meat balls should be firmer. 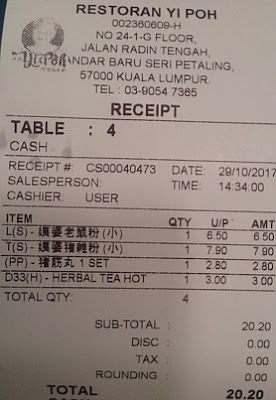 Total bill is MYR 20.20 nett. I guess you like Mee Hoon noodles better than lai fun. Oh? So many branches! I went to the one in Seremban. Loved the noodles I had there, much nicer than anything I had on top of the market. I dare say that you have been to more eateries in this peninsular than I have though I am the one living here. My wife loves pig stomachs like this. I only eat fried ones. This is my first time hearing Yi Poh and will bookmark. You don't even eat pig stomach like this in Bak kut teh? Sadly no, I only eat the meat, mushrooms and soups. My wife eats all the spare parts. I wonder why you don't eat them since you are so game to try all food. Thanks for pointing out. I found it in the spam folder. 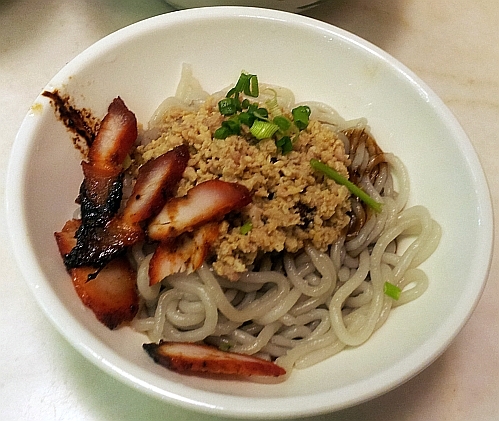 That dry noodle looks good. I like that kind of coarse beehoon/lai fun. 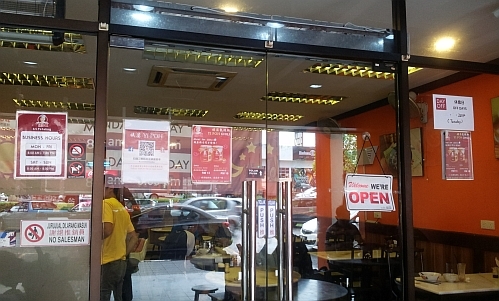 Have you tried this eatery in Seremban? The only thing that comes to mind are the beef noodles in the main market hehe. I very rarely go to Seremban. Now it is in Klang Valley, it is convenient to go try.